(Bloomberg) — South African President Jacob Zuma appeared a step closer to resigning as he held crunch negotiations on the terms of his exit with the new leader of the ruling African National Congress, Cyril Ramaphosa. The talks prompted the ANC’s National Executive Committee, its top decision-making body, to postpone a special meeting called for Wednesday to decide whether to force Zuma from office. Parliamentary speaker Baleka Mbete told eNCA television that she expects progress in Zuma’s discussions with Ramaphosa during the day. Zuma’s expected departure has been cheered by many investors who welcome Ramaphosa’s pledges to bolster growth and clamp down on graft. Business confidence rose to its highest level since October 2015, amid expectation that the new leadership will implement more pragmatic and predictable policies, the South African Chamber of Commerce and Industry said on Tuesday. The rand has been the best performer in the world against the dollar since Ramaphosa’s Dec. 18 election as ANC leader. It was 0.2 percent weaker at 11.9430 per dollar at 10:23 a.m. in Johannesburg Wednesday. 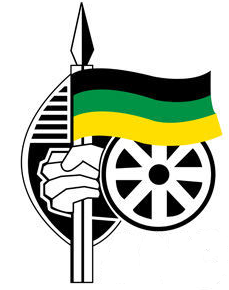 The ANC’s former head of intelligence, Zuma took power in May 2009 and clung to office through a series of scandals with the aid of his allies who controlled most key positions in the party and government. Under his rule, the ANC suffered its worst-ever electoral performance in a municipal vote in August 2016 when it lost control of Johannesburg, the economic hub, and Pretoria, the capital. 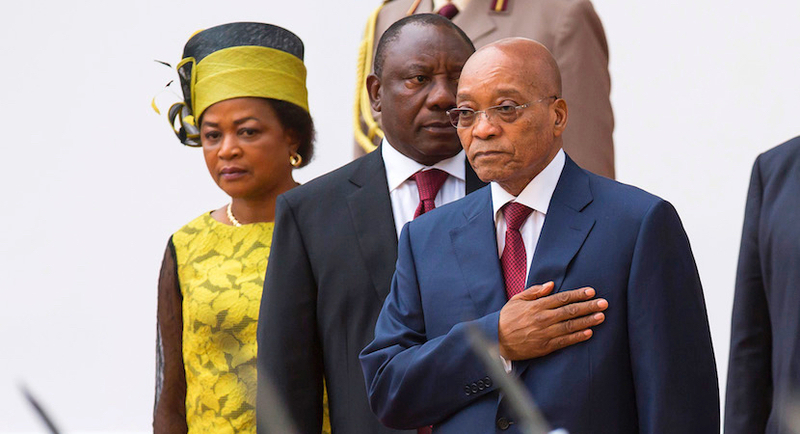 Since Ramaphosa beat Nkosazana Dlamini-Zuma, Zuma’s favored successor and ex-wife, in the December vote for the party leadership, the president’s fortunes have waned. Parliament postponed his state-of-the-nation address scheduled for Thursday due to fears of violence. While the legislature is due to debate a motion of no-confidence proposed by the opposition Economic Freedom Fighters party on Feb. 22, it “may not be needed,” the ANC’s chief parliamentary whip, Jackson Mthembu, told eNCA television. The Congress of South African Trade Unions, the country’s biggest labor group and a long-time backer of the ANC, said it supported Zuma’s removal as president. Zuma has survived repeated attempts by the opposition in parliament to remove him from office and two previous votes in the NEC, but this month would have been the first when he isn’t head of the ANC.